邓玉娜. (2011). 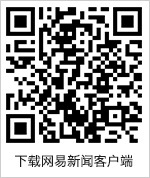 从清代医疗档案看宫廷进食人参习俗. 北京档案, (7), 56-57. 叶志如. (1990). 从人参专采专卖看清宫廷的特供保障. 故宫博物院院刊, (1), 67-80. 佟永功. (2000). 清代盛京参务活动述略. 清史研究, 1, 005. 邱仲麟. (2008). 明代的药材流通与药品价格. 中国社会历史评论, 9, 195-212. 蒋竹山. (2015). 人参帝国: 清代人参的生产, 消费与医疗. Shergis, J. L., Zhang, A. L., Zhou, W., & Xue, C. C. (2013). Panax ginseng in randomised controlled trials: a systematic review. Phytotherapy Research, 27(7), 949-965. Leung, K. W., & Wong, A. S. T. (2010). Pharmacology of ginsenosides: a literature review. Chinese medicine, 5(1), 20. 王海南. (2006). 人参皂苷药理研究进展. 中国临床药理学与治疗学, 11(11), 1201-1206. 张亚玉, 孙海, 高明, 孙长伟, & 汪景宽. (2011). 吉林省人参土壤中重金属污染水平及生物有效性研究. 土壤学报, 48(6), 1306-1313.